Carl Anderson Sr. of Chicago, IL, Entered in the Most High arms on March 19, 2019 in Milwaukee, WI at the age of 62. Carl is preceded in death by his father Albert Anderson Sr. and nephew Artis Anderson. 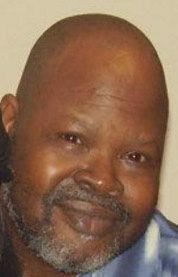 Carl is survived by; his wife Debra Anderson; his sons, Carl Anderson Jr. (Vivian) and Marcellus Richmond; mother, Annie Anderson; sisters Erma, Daisey and Emma; brother, Albert Anderson Jr. (Gladys); sister in law, Felicia Currie (Tyrese); grandchildren Adin, Macie, Jason, Maliah and Marsai, and many nieces, nephews, cousins and other family and friends. Visitation at Krause Funeral Home, 7001 West Brown Deer Road, Milwaukee, Wisconsin on Friday, March 29, 2019, 10:00 AM – 12:00 PM. Funeral Service 12:00 PM. Interment at Lincoln Memorial Cemetery, 6400 West Burleigh Street, Milwaukee, Wisconsin. Carl was a loving husband, and a kind hearted father. He enjoyed playing cards and collecting music. He was a problem solver, if anyone had trouble with their computer, he could fix it. Carl was loving, caring and always considerate of others. He put the Most High first, and allowed him to guide his heart. Carl loved and honored his mother until his last breath. Carl was a preacher, provider and protector for his wife, and all those who surrounded him. He was humble, and a fighter until the end. He will be deeply missed by his friends, family and all who knew him. Soo sorry to hear this..his wife is my family( Debbie my cuz) n he use to bring her n Mac to see me..I remembered wen they moved to Milwaukee..I was already here..#RIH Carl..my heartfelt sympathy to my cuz..love you guyz forever!